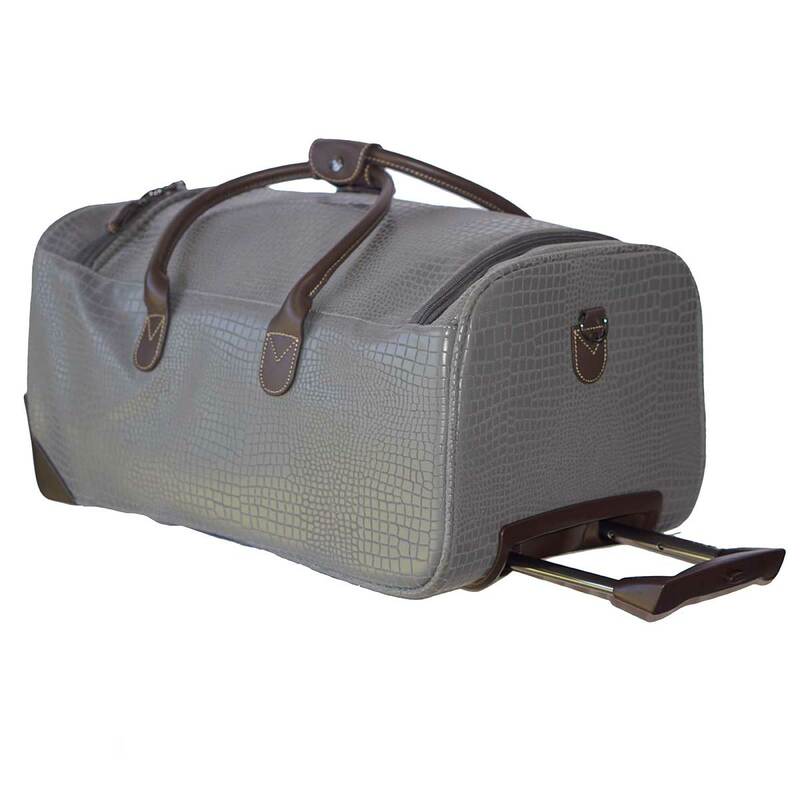 21 inch wheeled cabin holdall from Bric's My Safari collection comes with all the features needed to face every trip in perfect comfort, without ever forgetting about style. Made in durable and weatherproof easy-to-clean PVC material, this wheeled trolley has been designed to guarantee maximum lightness. 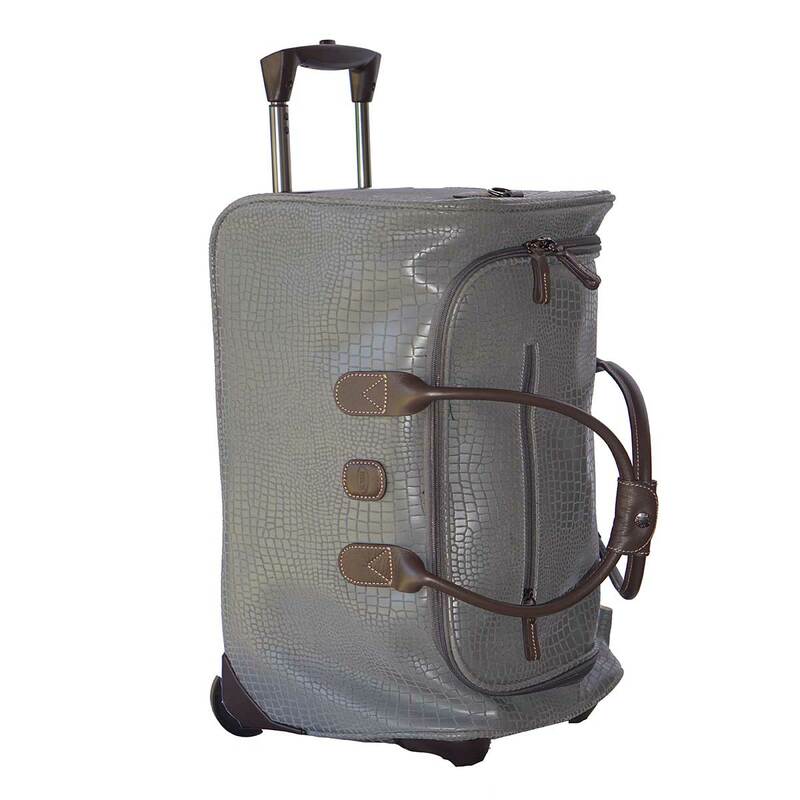 Its dimensions allows to be taken on board the plane with you as hand luggage. EXTERIOR: small zipped pocket. HANDLES: the pull-along handle can be adjusted to 2 different heights. 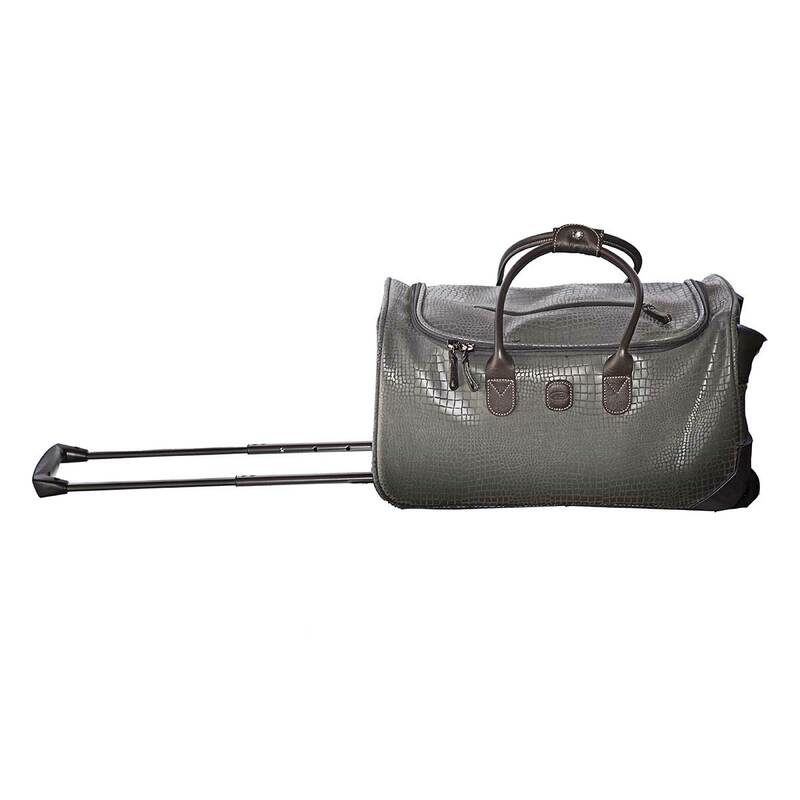 The double handle with a button fastening allows this bag to be easily carried. 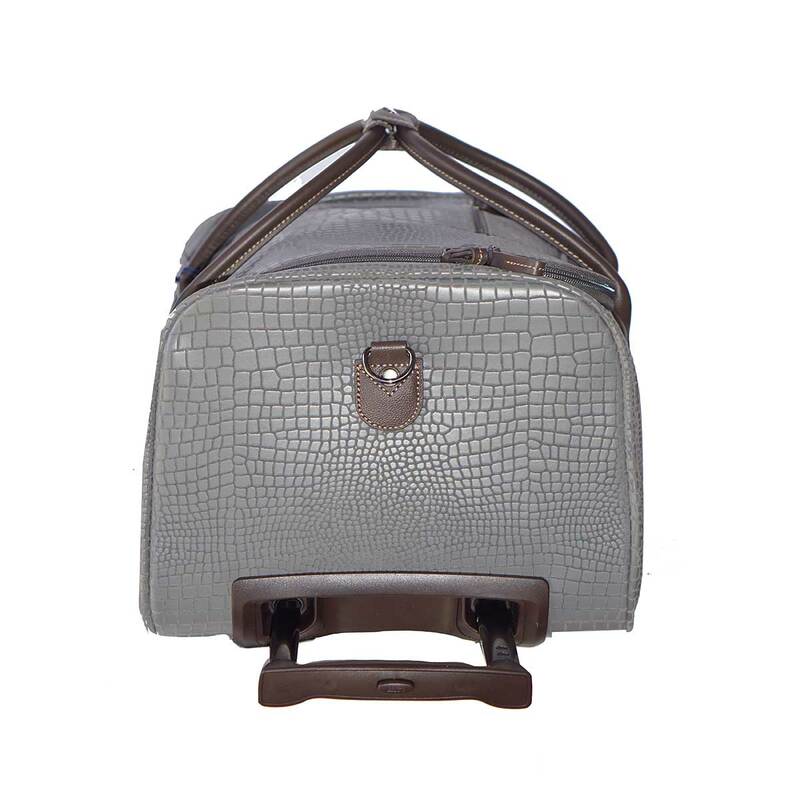 INTERIOR: the interior is equipped with a zipped compartment and a side pocket with zip. DETAILS: leather zip pulls, logo and handle; includes a leather address tag. MySAFARI Collection presented in the Classic core color Black and other seasonal color is hand crafted in BRIC'S signature LIFE fabric (sueded canvas backed PVC) a durable, stain and water resistant that wears like and easy to clean. 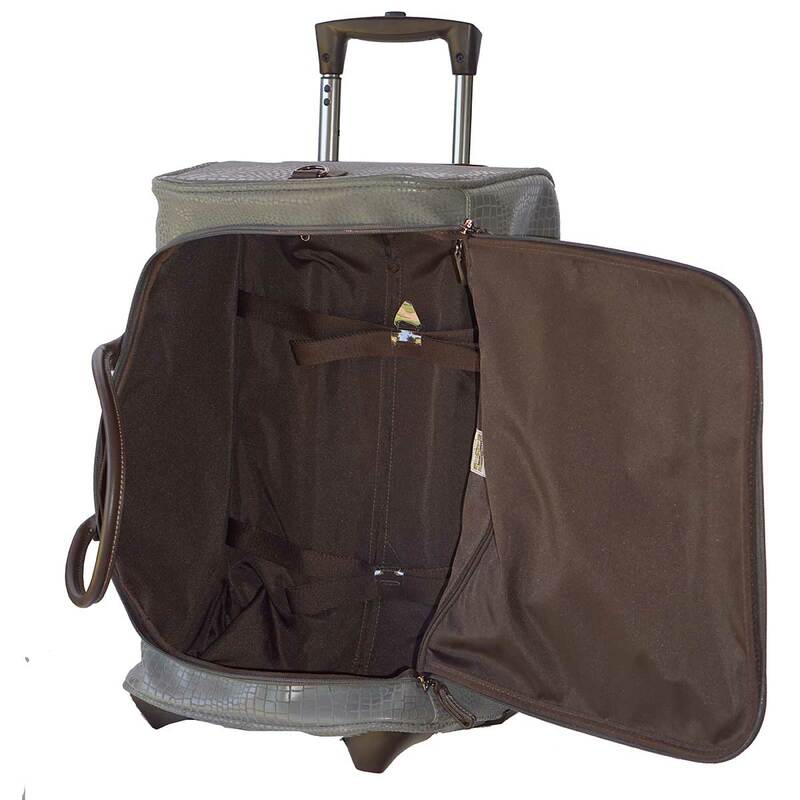 Trimmed in elegant full grain Tuscan Cognac leather includes 3 ultra lightweight spinner trolleys, 1 rolling duffle bags all with multistage pull up handles, and 1 cargo duffles with handle slide features and removable shoulder straps. 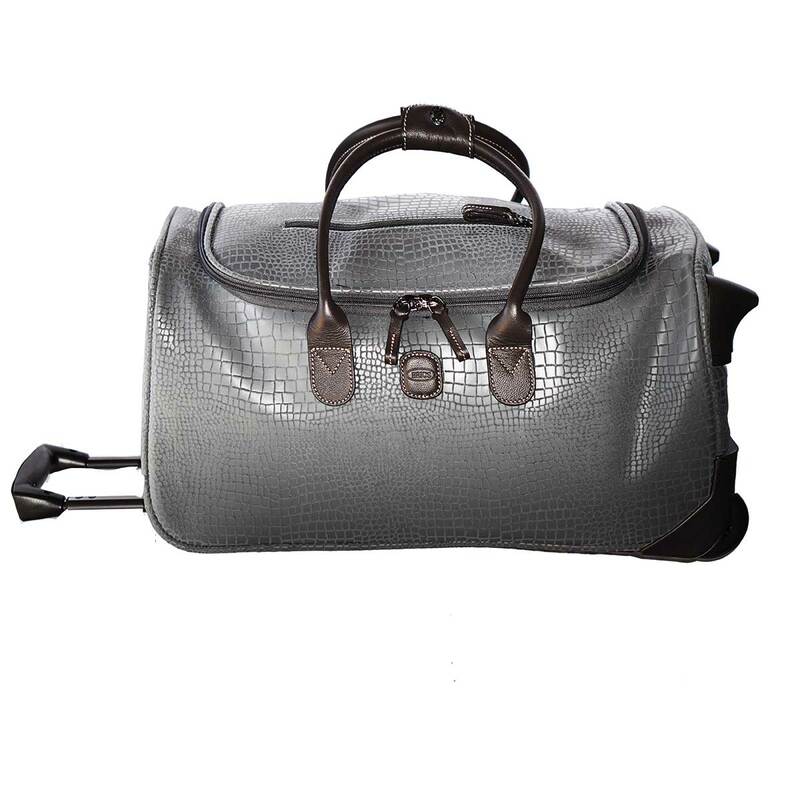 All products Include TSA Approved locks, removable luggage tags and are lined with stain and water resistant satin nylon.